Well the Jowett Jupiter is one such car. . . . My particular Jupiter, which I have owned since 1971, served us as everyday transport as well as being used as a competition car in the early Seventies. After a rebuild completed in 1983 the car has been continuously driven in competition and for everyday use. We have had numerous class wins, including one on the 1988 Pirelli Classic Marathon. In 1990 my season consisted of four races (3 class wins and one second), 1 hillclimb, 2 sprints (1 class second) and first overall in the Targa Rusticana Rally. The car was driven to and from all the events. As a sop to my navigator on the Targa (he didn't want to get his maps wet) I fitted a hood to the car for the first time in 15 years. Of course all this motoring has not been entirely trouble-free. I have retired from two Coronation Rallies in Wales and in 1989 I broke a valve on the A1 en route for Brands Hatch. In this instance as the piston was still serviceable, it was only necessary to change the cylinder head (loaned by a fellow Jowett competitor). We then continued to Brands where I won the class and afterwards drove the 300 miles back home. That pock-marked piston is still in use today. Together with Jowett enthusiasts who also use their cars in a similar manner, I'm proud that the car can be used in this way — an ideal historic clubman's car." 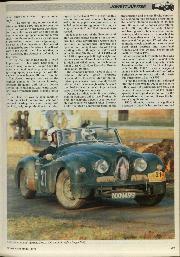 So wrote Mike Smailes in response to my article on the Triumph TRs in the December, 1990 issue. A challenge! There is nothing better to stimulate an article than the gauntlet being thrown down. First though, a little background research was called for. Motor Sport and the Jowett Jupiter go back a long way together. Indeed the Managing Director had two such examples in the Fifties. 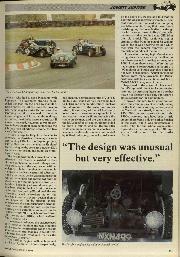 A check through some back copies of the time, one of which was printed in Edmund Nankivell's book The Jowett Jupiter — the car that leaped to fame (Batsford 1980), show with what affection the Jupiter was held. "A heavy shower of rain had fallen and the sun was just beginning to shine through as I caught sight of my red Jupiter standing in the market place at Stamford, quietly waiting for me. My first impression was 'You little beauty!' and as time has gone by that first impression has grown until for me it is the prettiest car on the road. 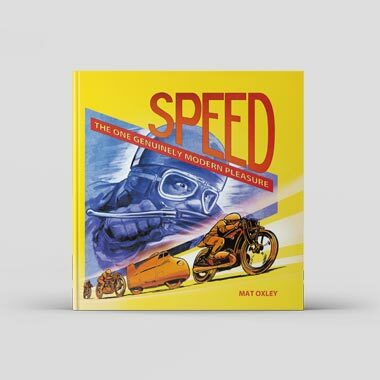 . .
" ... Twelve months have quickly slipped by and the speedometer reads 25,750 miles, the last 20,000 being very nearly trouble-free — 20,000 hard miles, for all of them have been completed in the service of Motor Sport — trials in the West Country, hillclimbs in the North, large and small race meetings, and speed trials at very nearly every track in England and Scotland. Thousands of miles in torrential rain, snow and fog, and most of them in darkness. Never once has the little red Jupiter failed to get us to the meeting — never once has it failed to get us home again.. . .
"... To sum up, any motor car that, after completing 1600-odd miles over the rough roads of north and north-west Scotland, runs 375 miles with one stop of an hour at an average speed of 50 mph, with such smoothness and such airy lightness of control as to leave driver and passenger as fresh as when they started, has indeed qualified to be considered one of the finest cars in the world — and I submit that, on the evidence, the Jupiter is definitely in that class." Clearly the Jupiter had made a good impression. . . . but what happened to Jowett? Why do we no longer have the marque around, and why, after such a glowing report, is it not regarded with the same esteem as Jaguar, MG and Triumph? The Jowett marque was one of the earliest names in the motor industry, brothers Benjamin and William Jowett setting up in business, with extra capital borrowed from their sister, to make motor cars. Their first car was actually made in 1906, but it took another five years for a product bearing their name being sold publicly, only for production to be interrupted by the Great War. It was for this reason that it almost became a forgotten make, its early post-war products being hailed by the motoring press of the day as a "great new find" and their fame slow to spread. In fact their cars of the Twenties and Thirties were neither exciting nor glamorous, but were nevertheless worthy little machines, a compromise between the cyclecar and the light car. 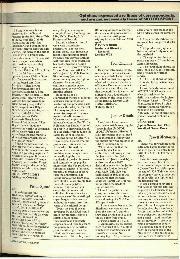 Few were of a sporting calibre although they did do well in the Scottish Six Days Trial of 1921 and in 1928 a specially built lightweight car made a successful attack in the hands of JJ Hall and AH Grimley on the International Class G 12-Hour Record at Brooklands at 54.86 mph. The company refused to be a slave to fashion, though, which probably accounted for its survival during the turbulent years when those manufacturers who survived the onslaught of the Austin 7 then had to face the uncertainty and lost sales of the Depression years. Despite its individuality, it is surprising that the company did survive. During this time, for example, Jowetts used hopelessly inadequate two-wheel brakes. The foot brake operated a contracting band on the transmission and the handbrake contracted a band on the rear wheels resulting in the lengthy stopping distance of 44 feet from 30 mph. Fabric bodies were offered until 1933, long after that style of body had been given up by every other manufacture, and the Jowett customer had to wait longer than most for the arrival of mechanical fuel pumps, 12 volt electrics, hydraulic shock absorbers, a four-speed silent third gearbox and centrifugal clutches and free wheels. Synchromesh finally arrived in 1940. Jowett's gimmick through all this was their small flat-twin engine, a unit with enormous power and longevity which Jowett advertised as "The Little Engine with the Big Pull." It was a design of engine which the Idle works at Bradford in Yorkshire continuously produced in various guises from 1911 to 1953. In fact the original 816cc unit, enlarged after the Great War to 907cc and then to 946cc, was not particularly powerful, but because it was responsive at low engine speeds, it had good acceleration by the standards of the time and it was flexible and also quite robust. 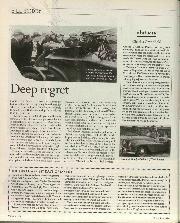 1930, though, marked a significant occasion in Jowett's history for it marked the arrival of a new engine. It was not the four-cylinder vertical engine the company had been experimenting with for some time, but a 1192cc flat-four with twin downdraught carburettors. It was this engine which saw the company up to and through the War years of 1939-1946 and was to be the basis of its post-war production until Jowett went out of business in 1954. If anyone had forecast at the time of the Armistice that this Yorkshire company was going to go out of business within eight years, then they would have been regarded as a poor business analyst. 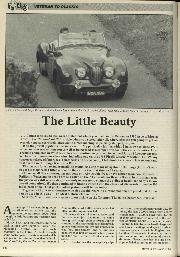 Jowett had been quick off the mark with a modern post-war car and displayed great optimism for the future. Whilst other manufacturers leant heavily on their pre-war designs until they had time to bring out more modern models, Jowett introduced a sports saloon at the 1949 London Show that was quite simply out of character for this conservative, staid manufacturer. True, it bore more than a passing resemblance to the late Thirties Lancia Aprilia, but there was nothing wrong with that. And it went as well as it looked, a modern saloon with a lively performance. By this time, though, ownership of the company had passed from the Jowett family to Charles Clore in 1945 who in turn sold out to Lazard Brothers, the merchant bank, in 1947. Although the Javelin, as it was called, was never intended by the company to be rallied or raced, it was soon being entered in various events to see whether it had any potential and, somewhat surprisingly at first, successes soon came its way both in rallying and in racing. It was Tommy Wise who can take the credit for first seeing the car's potential and talked Jowett into entering one in the first post-war Monte Carlo Rally. 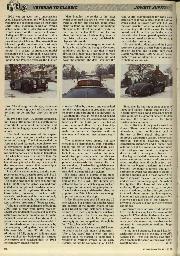 Wise and co-driver Harrison were joined Gerald Palmer, the car's designer, although Jowett, typical in its tight Yorkshire way, suggested that they should pay their own way and be reimbursed later. To date, Palmer is still waiting for his expenses to be paid! The other two would not let the designer drive thinking that he would be too gentle on his car, but in fact he ultimately proved to be a godsend. At the finish, the Jowett was classified as second in class, but it was Palmer who discovered that the organisers had made a mistake in computing the results. In the corrected version a few hours later, the order was reversed and Wise and Harrison found they had won the class while Gatsonides came second. It was too late to claim the £75 prize money, that had already been spent by the jubilant, although the Hillman driver was able to hand over the trophy. There were another class win on the Lisbon Rally in 1949, and a class win in the 2-litre touring category of the Belgian 24-Hour Race at Spa, averaging 65.5 mph and lapping at a very creditable 74 mph. It was proving to be a good all-rounder whilst their flat-opposed four was proving reliable and turning out to be one of Britain's finest small competition engines in a car that was the very opposite of what a successful racing or rallying car should be. It was ironic, therefore, that it was faults with this engine in production form that so tarnished the marque's image that ultimately contributed to its demise. The Javelin was principally the work of Gerald Palmer, but the open two-seater Jupiter which derived from the stylish saloon, was the brainchild of journalist Lawrence Pomeroy and, in the initial stages, the handicraft of ex-Auto Union engineer Robert Eberan von Eberhorst. Its credentials were therefore good and its prospects looked promising, especially in the export markets. Naturally it was used the same 1486cc flat-four powerplant from the Javelin, but the chassis into which it was put was quite different. The importance of the export market to British car manufacturers after the war cannot be overstated. Material, most of which was in short supply and rationed by the Government, was only awarded to those companies which were exporting their goods. Therefore all British car manufacturers were keen to exploit that fact and all eyes, with very few exceptions, turned to the United States for sales. Americans liked sports cars, and they liked, for all their quirkiness, British sports cars. In 1947 ERA was bought by Leslie Johnson who had a close friendship with Pomeroy. The journalist strongly counselled Johnson on the need to manufacture a sports car. At this time the Javelin was beginning to make its mark on the motoring world, it seemed to have a proven engine and it had all the makings of forming the right basis for a sports car. If it was to succeed, however, it was important to have the right engineer tackling the job, and von Eberhorst became the two men's first choice. It took a trip to Italy in a Javelin to convince the Austrian of leaving Cisitalia and joining ERA for the Jupiter project, but by May, he was installed in England and working on the contract between ERA and Jowett to design and build six prototype chassis. The design was highly unusual, but very effective. The chassis consisted of two chrome molybdenum steel tubings running the length of the car, braced with an x-shaped tubular member in the rear. In the front, a built-up section of tubes carried the radiator, which was located to the rear of the engine, the footboard and the wishbones for the independent front suspension. Springing all round was by torsion bars, longitudinal in front, transverse in the rear, damped by Woodhead Monroe telescopic shock absorbers as on the Javelin. It was a cleverer design than at first appeared, for by placing special emphasis on the front suspension arrangement, chassis steering and suspension steering were virtually eliminated, unlike contemporary MGs, which suffered from the former, and HRGs, which suffered from the latter vice. The fuel tank followed the practice used by Triumph at the time and was mounted as close to the centre of the car as possible so as to minimize changes in weight distnbution between front and rear as the petrol was consumed. The 1486cc engine, with a bore and stroke of 72.5mm x 90mm respectively, had an initial compression ratio of 7.2 to 1, but by 1953, it had worked its way up to 8 to 1. This and other modifications, such as the alteration to the twin carburettor set-up, the re-siting of the SU fuel pump lower down to overcome vapour lock in hot weather, twin air filters replacing the single air cleaner, and the banishment of the ERA specified oil cooler, ultimately led to quite a refined engine. 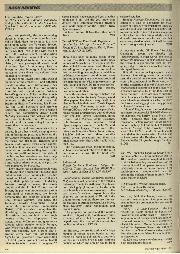 Before ERA could commence work on the coachwork, however, Leslie Johnson was paid a visit by Wilfred Sainsbury, one of Lazard's men on the board at Jowetts, and told that the contract was henceforth terminated. From that moment on, the Yorkshire company would be manufacturing their own chassis and designing their own bodies, the design of which was entrusted to Reg Korner who was instructed to use the Jaguar XK120 as the role model. The result was not as striking as that from the pen of Sir William Lyons, but it was nevertheless one which met with the general approval of the majority of pundits at the time. Hopes were running high. America was being viewed avariciously by the directors and there was talk of selling as many as a 1000 Jupiters there, a year before the car had even got into production, in reports of a "90 mph car sold out a year ahead and it is not even in production." At first only rolling chassis were made available for British customers with four exceptions: WJ Tee of Motor Sport being one of them. Top speed of the Jowett Jupiter was in fact 85 mph with the 8 to 1 compression ratio, not a surprising figure, and one that made it a pleasant road car, but hardly a serious sports car for competitors. 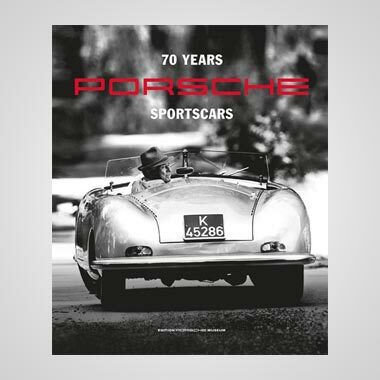 It proved, though, to be good enough when the company went seriously racing for the first time, choosing to compete at Le Mans with a virtually standard car in 1950. Wisdom and Wise's victory in the 1500cc category may have been a little empty, there being only one other finisher in the class, but it was nevertheless a useful fillip for the whole organisation especially as their average of 75.84 mph was a 1.5-litre record for the Sarthe Circuit. 1951 was an even more encouraging year. Ellison/Robinson and Wilkins/Baxter were first and second in class on the Monte Carlo Rally, Nogueira scored an overall victory in the Lisbon Rally. Armangaud was overall winner of the Rallye de l'Iseran, Hadley and Wise were first and second in class in the TT, Weaver was first in class in a race at Watkins Glen and Becquart/Wilkins followed up the previous year's triumph with another class win at Le Mans, this time though in a special sports/racing model designated the R.1, although it was tempered by the fact that it was slower than Panhard and Porsche entries in the 1100cc class. The driving duo, though, were reunited the following year and succeeded in notching up yet another class win in the R.1. In 1953 the Mark 1A Jupiter appeared, but it was little more than a slightly more comfortable version of the original and access to the luggage space being through a boot. The final development of the Jupiter came a year later and marked a more important change. The R.4 succeeded the Jupiter 1A and featured a completely new all-enveloping, highly streamlined body. On the prototype this was of aluminium but production bodies were to be in fibreglass. The wheelbase was 9 in shorter than the earlier Jupiter, and kerb weight was very low, down by 5 cwt while improvements to the suspension meant that semi-elliptic springs replaced the torsion bars. It used the same engine, but the compression ratio had been boosted to 8.5 to 1 with an optional 7.5 to 1 head available. The engine produced 64 bhp at 5000 rpm but at 6000 rpm the factory claimed that, mated with an optional overdrive, a maximum speed of 100 mph was attainable. Its introduction, however, coincided with Jowett's problems and in the event only three R.4s were built, the aluminium prototype and two 'production' fibreglass cars. Although the original dreams of building 1000 cars a year were never realised, Jowett was undeniably successful in its few years as a sports car manufacturer from the technical point of view. Unfortunately it was not a commercial success for a total of 831 standard-bodied cars were made by the company during that time, of which 736 were Mk 1 and 95 Mk 1As. An additional 68 fully equipped rolling chassis were supplied for bodywork for various constructors and coachbuilders. In 1954 the company ceased trading. 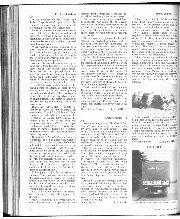 Mike Smailes, the sender of the letter which prompted this article, who not only owns a Jupiter, but also has some small claim to fame by being the Competitions Manager of the oldest one-make car club in the country, the Jowett Car Club. 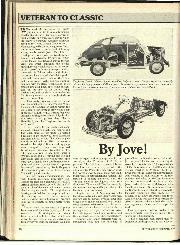 He has also contributed to a forthcoming book on the history of Jowett being published by Haynes this month. By no stretch of the imagination can his Jupiter be classified as being in Concours condition, but his is a car that is used almost on a daily basis and taken to race meetings, rallies and hillclimbs up and down the country. The day I saw him the snow had fallen by the foot, and yet he had not the slightest qualm in producing his car to go for a drive around the countryside in. I was thankful, though, for the hood he had put back on the car last year, because it was bitterly cold, but I still got a face full of spray now and then as we intrepidly overtook lorries when charging down the main road as he had dispensed with the windows and winding mechanisms years ago. 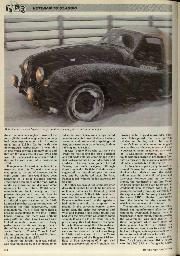 The conditions were simply not safe enough to go faster than 60 mph, but at this speed, the car felt stable and fairly surefooted despite the icy conditions underfoot. It was when we turned off the main road into a picturesque side road that we could really play with the car. As Mike pointed us towards the distant hills, the snow making it hard to distinguish between field and road, I had visions of getting stranded in the middle of nowhere. We came upon a slightly more steep gradient than we had hitherto ascended, and at last the sturdy little Jupiter was defeated. No matter which way we tackled the slope, the car would not go any further. The tail slid one way and then the other, the grip from the 15 inch Michelins not enough to propel the car up the slope. In fact Smailes uses both 15 inch and 16 inch wheels, but prefers the smaller wheel size because of the greater choice of tyre. When travelling long distances, however, he does fit 16 inch Kingpin tyres, which are actually designed for taxis, as they are more economical and in fact are good cruising tyres. For competition, though, he fits 15 inch Michelin MXLs. Smailes has had his car since 1973 when he used it as his sole means of transport. After a few years' use, it went into cold storage until he started to campaign it regularly in various events in the early Eighties. At first he competed in an HSCC road sports championship for early cars, especially as it had a class split at 1500cc which suited the Jowett quite well, but then the class structure was changed so that he was running in the 2-litre class. He finally bowed out from this particular championship when it was opened up to become an unlimited road sports race. He found it then pointless turning up. 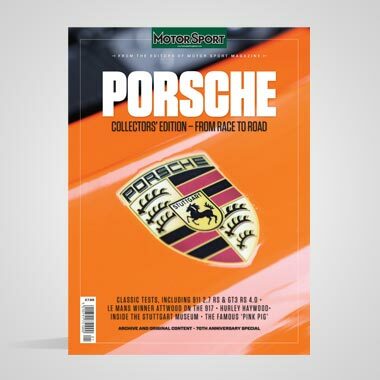 He then did the odd races and the Sytner series for a couple of years before embarking on his first, and to date, only Pirelli Classic Marathon in 1988. Although he was unable to win an Alpine Cup, he managed to chalk up a class win. Since then he has had a cross-section of races and rallies, finding that the MG T Register provides a good series in which to race, although his greatest success to date has been the overall win in the Targa Rusticana last autumn. The car itself is virtually as it came from Jowett. There have inevitably been some alterations, some modifications, such as the use of Koni shock absorbers, an improved carburetion system, higher compression, lightened flywheel, balanced combustion chambers and a higher back axle ratio, but the column mounted gearshift and gearbox remain as original as does the rest of the body and chassis. Having extricated ourselves from the snow, we turned about and proceeded along another lane, through a ford and then the car began to splutter and cough. Nothing too major it turned out, just a carburettor which had decided to ice up, a common enough fault in these cars. A brief stop, a wipe with the cloth under the bonnet and we were on our way again. Somehow this typified the charm of this style of motoring. If you're in a hurry, or on your way to a wedding, the last thing you want is to crawl about under the low opening bonnet and tap things and wipe parts, but otherwise it's just one of the hazards of driving a 40 year old car in tricky weather conditions.